Enjoy rustic charm with stunning views at casita buena vista. Simple, secure booking using our online reservation system. 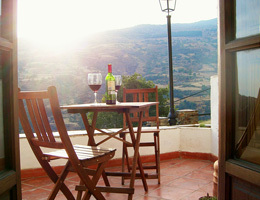 Set in Las Alpujarras, the foothills of the Sierra Nevada. From the historic city of Granada to the beautiful Alpujarras. Welcome to the little house with a big view! Casita Buena Vista is set in a picturesque rural lane in the enchanting alpujarran village of Bubión, dramatically perched on the edge of the Poqueira Gorge with spectacular views of the Sierra Nevada, the Alpujarras and the Mediterranean Sea. The lush valleys and dramatic gorges of the Alpujarras offer a variety of landscapes and distinctive architecture, as this was the last stronghold of the Moors. Their intricate irrigation systems and old stone villages still shape the land. "We had an amazing holiday in Bubion. The apartment was beautiful, comfortable and had everything we needed. We just want to go back and spend some more hours sipping wine on the terrace, gazing at the gorgeous mountain views!" "The casita is nothing short of what it promises or what other visitors write about it. Actually, it's better than that. A romantic restplace in the heart of a great natural environment. Relaxing would be an understatement." "Comfortable, attractive accommodation; keyholders were extremely helpful, friendly and generous. Excellent place, excellent value for money. " "An ideal place for a quiet holiday with a view......so take note all you stressed up people in the UK! Thank you for letting us have your lovely casita for two weeks.......and exceptional value for money! " "A fantastic time away, with lots of extremely lovely walks, both short and long, with some of the most stunning scenery you can imagine." "The property is well situated, with great views over the valley. It was clean and well equipped, and was perfect for the two of us." "A simple & clean apartment. What really made the difference was the friendly service from the owners. As a non-driver the organising of lifts to and from Granada was enormously helpful. I'd recommend this property to walkers. The location was terrific too." "The apartment is lovely, very well designed having a stylish, comfy and romantic feel." 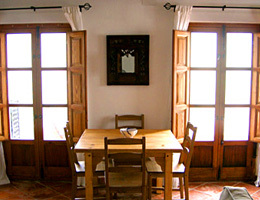 "The casita was lovely and cosy with stunning views of the valley. We only stayed for 3 nights before returning to Granada but it was a great base for two big day walks. 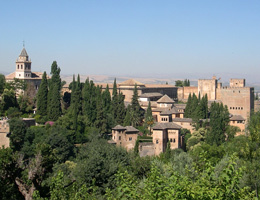 After arriving from the hustle and bustle of Cordoba, the peace and quite was just what we needed."